For a restful and stylish atmosphere, choose a blackout blind for your window. At Hillarys, we know everyone’s different. But there’s one thing we all need: a good night’s sleep. That’s why you can choose a blackout lining with any fabric in our extensive Roman blinds range. From rich, opulent shades and striking patterns to neutral favourites we’ve something to please every taste. We haven’t forgotten about the little ones either. With a range of children’s fabrics to choose from, we’ve something any child will love. And with an added blackout lining, you can be sure that ‘lights out’ doesn’t exclude street lights and the early morning sun. They aren’t just for bedrooms though. They’ll help you achieve a snug feel in any room of the home, and reduce glare in sunny spaces. Finding your favourite fabric online is great, but there’s nothing like seeing it for real. That’s where an in-home appointment comes in. You’ll be able to hold up your preferred samples against the window to narrow down your choices, and benefit from all the advice you need from your local advisor. 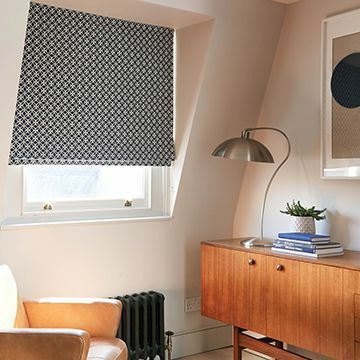 You’ll be able to layer your chosen fabric with a sample of blackout lining to really get a feel for the fantastic light control our blinds offer. 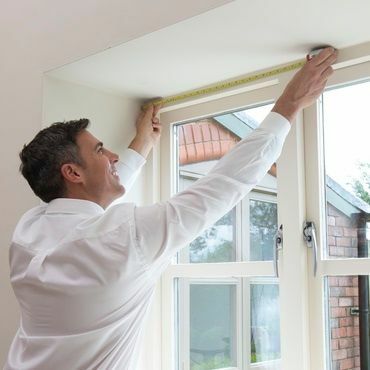 Then your advisor will accurately measure your window and leave you with a quote to consider. 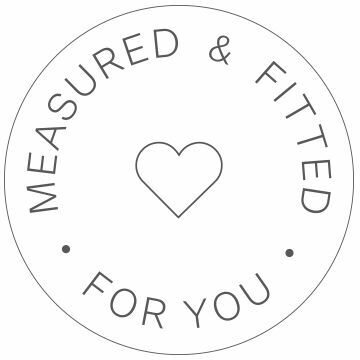 Blackout linings and made-to-measure are the perfect match. Because your blind will fit so well, you’ll achieve a fantastic room-darkening effect in a bedroom or any room of the home. You’ll be able to customise the little things too, like the colour of the chain. So you really can trust us to take care of everything.